There are a huge range of short-haul flights to Italy. Way too many to attempt to list. Skyscanner provides a compre­hensive search engine to give you an overview of what's available. Low-cost airlines now have the major share of the Italian market - both for domestic and inter­na­tional flights - indeed the adjective 'low-cost' has entered the Italian language. The two major airlines flying to Italy are Ryanair (Ryanair destin­a­tions map) and Easyjet (easyjet.com: routemap). Rome's Fiumicino offers the greatest range long-haul direct flights. Wikipedia has a compre­hensive list of airlines operating out of fiumicino and the routes they offer (en.wikipedia: Fiumicino Airport). The airport website has a destin­a­tions page () but unfor­tu­nately there doesn't seem to be any way to search only for direct flights. While Milano's Malpensa airport offers flights to a range of destin­a­tions including Miami, New York JFK, Newark, Toronto, and Sao Paolo (milanomalpensa-airport.com: destin­a­tions(http://www.milanomalpensa-airport.com/en/flights/destinations)). It may also be worth consid­ering taking a connecting flight with one of the low-cost airlines. Ryanair and Easyjet carry more inter­na­tional passengers to/​from Italy than all of the majors put together. For some reason these don't show up in the results for the flights search engines - perhaps because they don't have through-ticketing arrange­ments with the long-haul airlines. 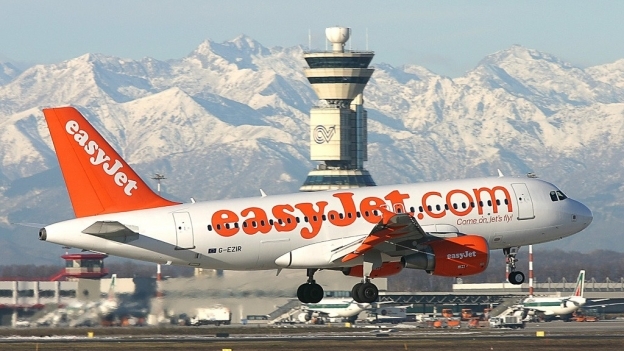 Easyjet offer services to Italy from the inter­na­tional hubs of Geneva, Amsterdam, and Paris CDG. Ryanair tend to operate out of smaller airports which are probably less useful for connecting flights, although they offer a number of flight from Madrid's Barajas airport. There are a huge range of flights from and to the UK but the greatest range of low-cost flights are from London Gatwick and Stansted rather than Heathrow. Most Italian airports offer good onward train connec­tions, to take you to your destin­ation. If you have your bike in a bag then the high-speed frecciarossa and Italo services offer a rival to taking an internal flight: (journey times: Roma-Lecce 5:22; Roma-Napoli 1:10: Milano-Roma 2:55, Milano-Venezia 02:35; Roma-Firenze 1:31; Roma-Bologna 2:15). Good news for inter­na­tional travellers is that there are now high-speed Frecciargento trains from and to Fiumicino airport. The trains provide direct links between the airport and Firenze, Bologna, Padova and Venezia. There are two trains a day in each direction. Journey time to Venezia in four and a bit hours (trenitalia.com: timetable ). See Getting around: trains, boats and ferries for inform­ation on baggage size restric­tions. If you're travelling with an undis­mantled bike you'll be looking at the slower regional trains, but couple of hours train journey will still open up a huge range of destin­a­tions, see the Getting around: trains, boats and ferries section for more inform­ation.